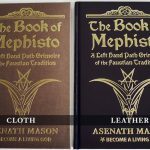 The Magic of Mephisto bundle comprises (1) an autographed copy of Book of Mephisto in leather edition, and (2) Amulet of Mephisto. A limited edition available on a first come basis. Use a valid debit or credit card. You can also use Paypal at checkout. A man in a black robe draws a circle on the ground and adds planetary characters with Hebrew inscriptions, as described in the books of Black Arts in his forbidden library. He raises the magic wand and exclaims the words of hellish incantation. This imagined scene above is often presented in medieval and Renaissance literary sources and described in dozens of grimoires. 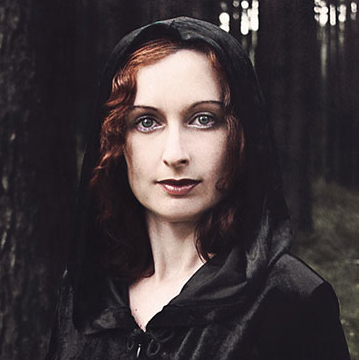 In fact, black magic flourished across Europe in the 15th and the 16th centuries. 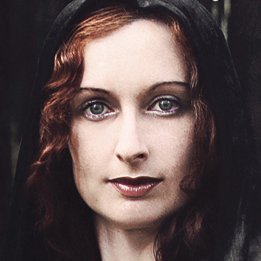 No other period was so infused with such a wide interest in magic and the occult. The leading figures on the artistic, scholarly, and philosophical stage were believed to be practicing magicians, and this reputation was true in many cases. Where did this ingrained conspiracy theory originate? And why has it endured between generations across entire periods of human civilization? A prototype of the black magician was Theophilus, a medieval character who appeared in the thirteenth century story entitled Legenda Aurea written by Jacobus de Voraigne. Originally, Theophilus was a historical personage, an administrator of a church in Sicily. According to the medieval legend, he was dismissed by the church authorities and lost his position. To gain it back, he made a pact with the Devil. With the help of a necromancer, he summoned the Devil at midnight, renounced Christ and the saints and signed a contract with Satan in his own blood. The pact was successful and the Devil gave him his position back. 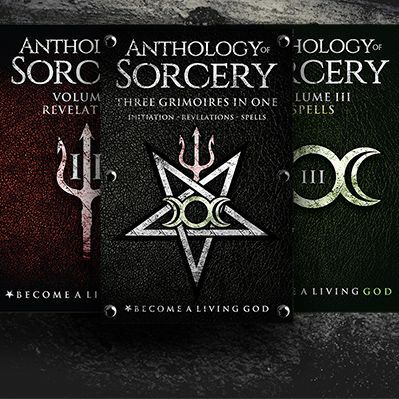 This and other stories were spreading quickly around Europe, evolving into the legend of a sorcerer who gained great power in exchange for selling his soul to the Devil. The legend eventually found epitome in the Renaissance figure of Faust. In an illustration to Christopher Marlowe’s Doctor Faustus, we can see him standing in a magic circle and evoking a demon rising from the ground. He does not summon this hellish spirit because he desires wealth or earthly goods, even though that was the goal that most “sorcerers” wanted to achieve. He sells his soul in exchange for knowledge, for “wings” on which he can soar to celestial heights of the universe and descend into the depths of his own mind. Faust enters a path of self-salvation, self-deification, and wants to make himself equal to God. This is a path between and beyond good and evil, order and chaos, the rational and the irrational—between Heaven and Hell, yet providing access to both. That is why for his assistant and companion on this journey he chooses the spirit of transformation, the psychopomp, the trickster, the guide, and the initiator: Mephistopheles. 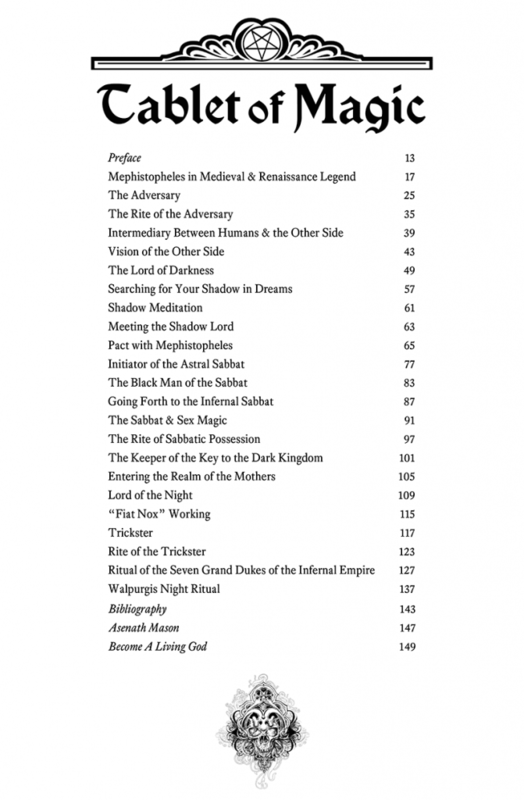 This book does not aspire to explore the Faustian Tradition in a vanilla academic context, nor is it a discussion of Renaissance magic as a whole. 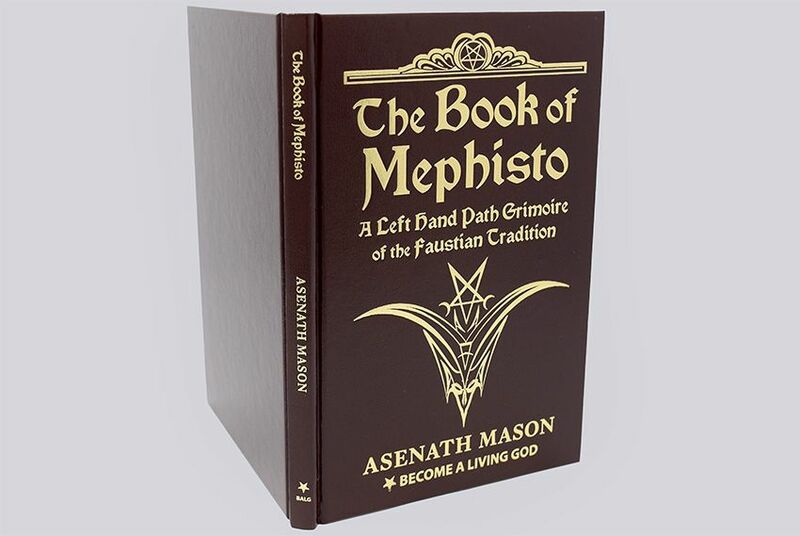 This book is a grimoire devoted solely to Mephistopheles—his aspects, forms, and masks in which he appears in esotericism and “forbidden” literature of the West. 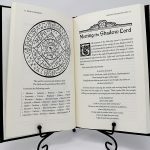 Texts and rituals presented here are written from the modern perspective, although certain concepts and ideas are derived from the old sources. 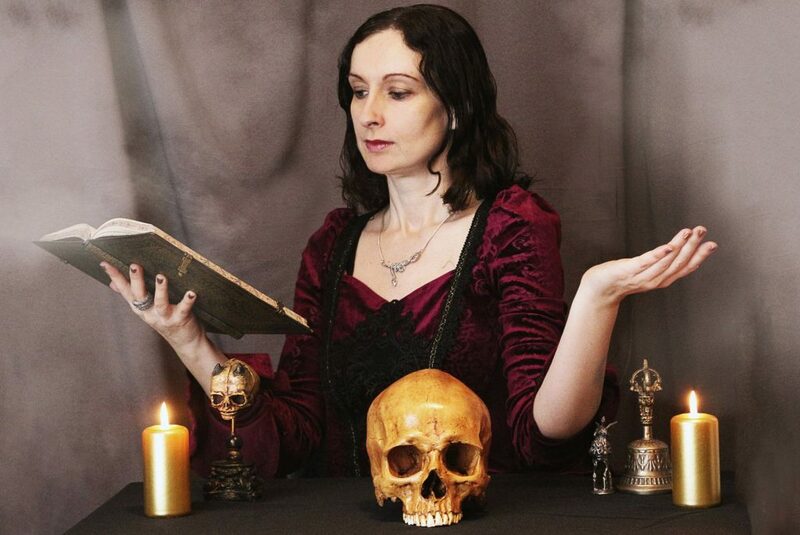 Rituals and meditations described in the book were inspired by medieval and the Renaissance grimoires as well as by modern literary works of the Faustian Tradition: J.W. 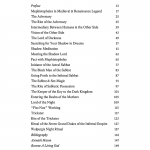 Goethe’s Faust, Mikhail Bulgakov’s The Master and Margarita, and several others. In medieval and Renaissance sources, Mephistopheles is one of the most popular demonic spirits. Some accounts ascribe him a high position in the infernal hierarchy while in others he is a mere invention of the authors who wrote and popularized Faust-inspired stories. As Mephistophiel, he is one of the seven great princes of Hell. It is also said that he was one of the first four angels who rebelled against God and fell from grace. In this context, he is mentioned alongside Lucifer, Belial and Leviathan. He is described in Cornelius Agrippa’s writings, as well as in many sixteenth century grimoires. Despite his popularity in visual arts and literary works, however, he remains the most ambiguous demonic entity of the whole Western Tradition. In modern occultism, the role of Mephistopheles has been diminished and much less attention is now paid to this legendary character. 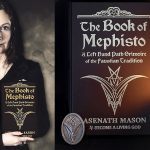 Therefore, the goal of this book is to present the role of Mephistopheles in a new light—not only as a traditional principle of evil, but as an initiator of the Left Hand Path, the Adversary in the Christian Tradition from which he emerged, a spirit of Luciferian initiation and the personal Shadow that accompanies us throughout our whole lifetime. 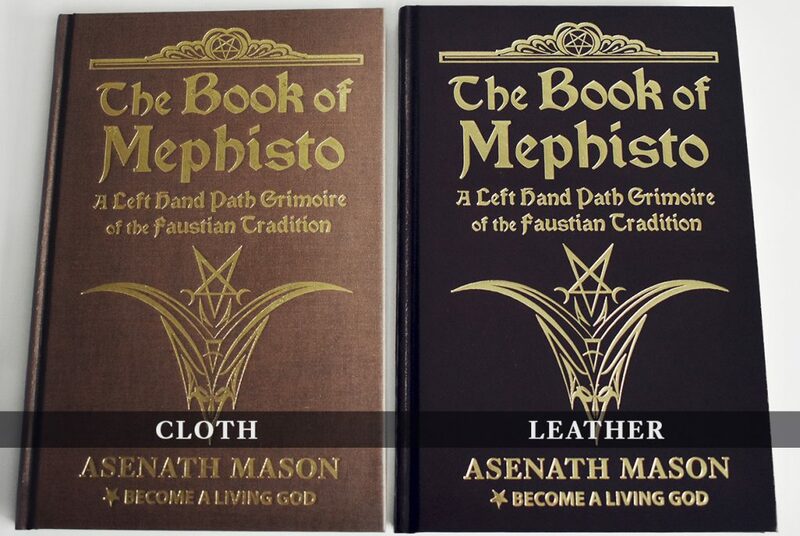 Place your order right now for Magic of Mephisto. 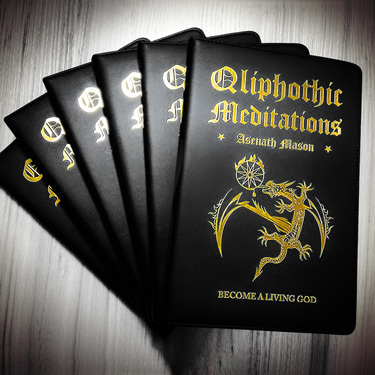 You’re going to receive BOTH (1) an autographed copy of Book of Mephisto in leather edition AND (2) the Amulet of Mephisto talisman. The first 40 magicians will receive $100 off to save 25%! Believe it or not, I first wrote this groundbreaking book 18 years ago and it was my first published work. 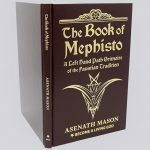 At that time, I was deeply fascinated with the idea of Mephisto — an abridged version of the name “Mephistopheles” used for the purpose of this book — as an embodiment of Personal Shadow and I was working extensively with grimoires that mentioned him in their catalogue of spirits. Apart from that, I was also searching for his appearances in literature and popular culture, and discovered that although not appearing under his medieval and Renaissance disguise, Mephisto has accompanied man throughout all the following centuries and is still present in the modern world, tempting us with “forbidden” knowledge and igniting our desire of transcendence. 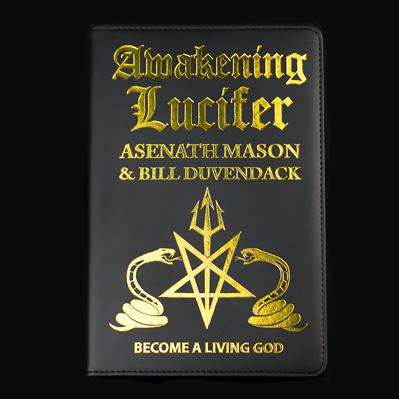 It is especially true regarding the Luciferian ethos—the search of power through self-knowledge and self-sacrifice. 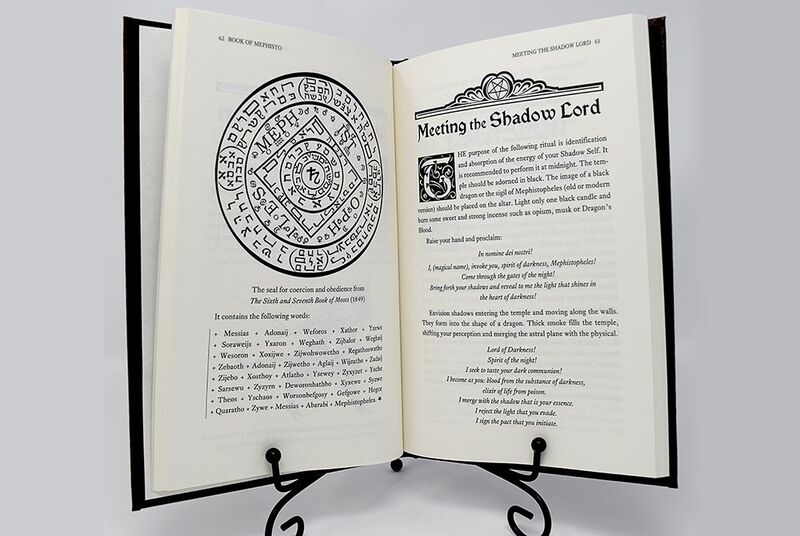 Now, after almost two decades of my work with Luciferian gnosis, I can add a lot more to what was written in this book before. 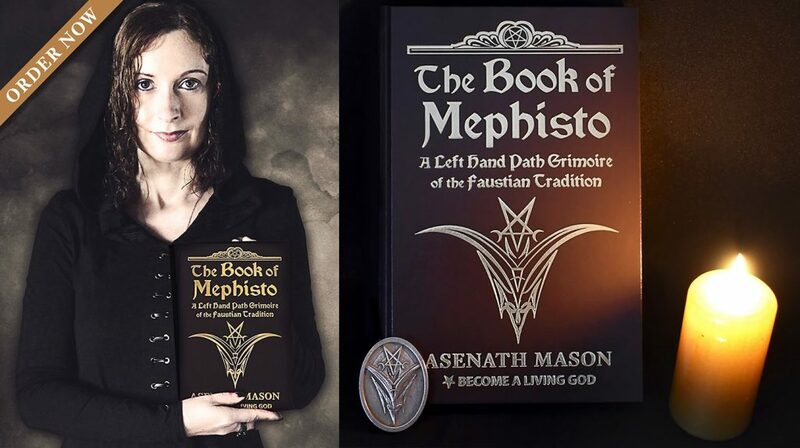 However, I still want to keep this book centered on Mephisto, my first initiator and guide on the path of self-deification known today as the Left Hand Path. 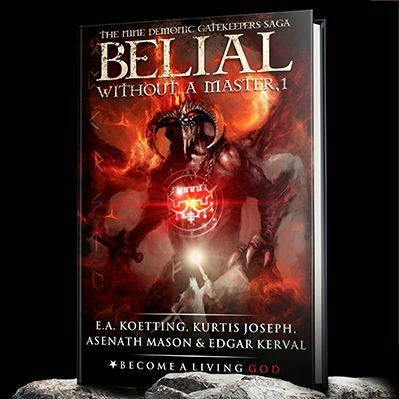 This book was written with love and passion, both for the path and the whole Faustian idea that “knowledge is power,” and my wish is that by reading it you too will become passionate about your path and persistent in your study. I also hope that you will find Mephisto as great an assistant as he has always been to me. Let him become our guide and companion again, as it was in the old times, but from a new, modern perspective. 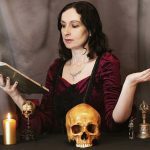 I welcome you to come on this journey back to my roots as an author with me, to unearth the true hidden history of Mephistopheles, and to summon his magical powers to experience infernal ascent in YOUR life too. 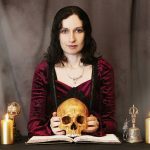 Asenath Mason Asenath is a top occult writer and clairvoyant artist. 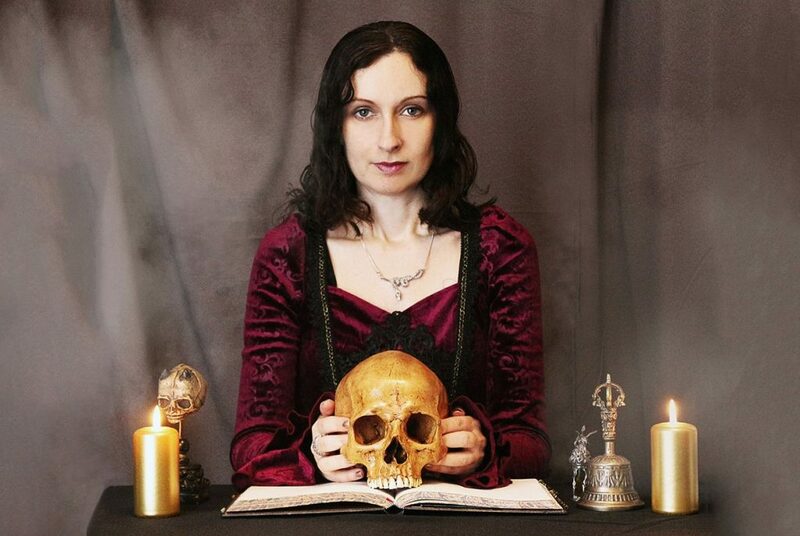 She has authored over 10 books on magical and esoteric subjects, with a particular focus on Left Hand Path & Luciferian Spirituality.